Variety, they say, is the spice of life, but Calgary’s lively Indian restaurants have plenty of both variety and spice. Here, four of the city’s finest. A sunny, no-frills Indian restaurant with East African influences, Tiffin pairs curries with rice and signature rotis ($7.95 to $12.95). The restaurant offers take-out in its namesake tiffins, reusable tin-pots loaded with curries and butter chicken (from $18). Delivery is available on weekdays. 188 28th Street S.E. Calgary, 403-273-2420. While Namskar has upscale frills, it offers grand portions and decent prices. Its enormous menu ranges from Fish Balti ($17.99) to Chicken Manchurian ($15.99), and its selection of Indian breads ($2.49 to $6.99) is equally vast: Choose from smooth, layered butter naan, minty, spicy pudhina prantha or the sweet, nutty Peshawari naan. 202 16th Avenue N.E., 403-230-4447. This Punjabi restaurant’s tiny northwest strip-mall location belies its fantastic food and loyal clientele. 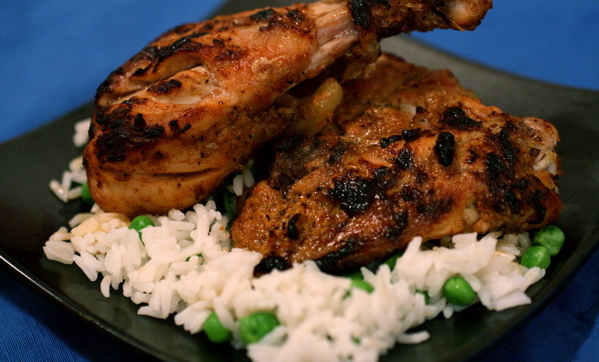 Sate your craving for tandoori chicken ($11.95) here, which is expertly roasted in Clay Oven’s, uh, clay oven, and served with a bowl of mouth-watering butter chicken sauce. 349 –3132 26th Street N.E., 403-250-2161. Vast and grandly appointed with a historic Indian mural, Southern Spice specializes in South Indian cuisine, notably the dosa ($6.95 to $8.95), a thin rice crêpe with fillings like marsala potatoes or prawns. 102 – 4655 54th Avenue N.E., 403-285-2255. I sincerely hope your omission of Moti Mahal was an attempt to offer up new choices to Calgarians, rather than to exclude it as one of the best in the city. Moti Mahal is a virtual landmark here in Calgary, and a restaurant I’ve visited for nearly 25 years after being introduced to it by my dad. I’ve eaten at most of the Indian restaurants here, and none have yet beaten out Moti Mahal as a favourite destination for my wife and I, or a lot of our friends. Although according to some foodies on Twitter I trust, apparently Green Chili is worth a try as well. Moti Mahal’s food is good. But their butter chicken is the worst butter chicken in the city. I have tried them at them all, and thiers is very watery, and much less flavourful. I find that rajdoot, tandoori hut, green chili, etc.. all have much better butter chicken. I know its not the only guage to judge an indian place on, but it is for me. The best butter chicken in the city is at moughal mahal on 17th AVE sw, close to 30th street.